South Africa’s trade and industry minister, Dr Rob Davies, is being threatened with court action by a local poultry industry adamant that the African Growth and Opportunity Act (AGOA) arrangement for US chicken to enter duty free must be suspended. As reported in Business limes on 5 August, Marthinus Stander, chair of the SAPA’s Broiler Organisation, argues that conditions for Davies to take action were outlined in a Government Gazette and that the minister was in breach of the gazetted agreement. “Minister Davies seems to have acknowledged that the gazetted arrangement is quite clear in its intent. From this it should be clear that he is expected to act and write to minister Nene asking him to suspend the quota as SA has already lost someof its AGOA benefits,” Stander is reported to have said. AGOA, which was enacted in the US in 2000, is under threat after President Donald Trump raised tariffs on steel and aluminium imports. 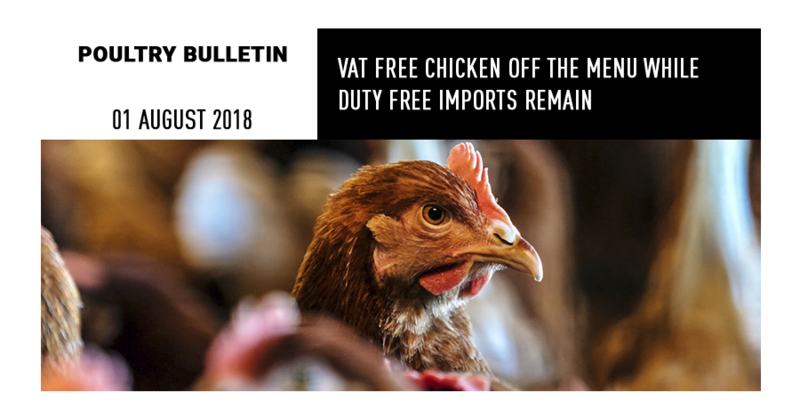 The SA poultry industry is angry that some of the country’s steel and aluminium exports to the US have lost their duty-free access as a result. Three years ago, when AGOA was renewed, SA agreed to allow in 65 000 tons of US chicken duty-free per year as a quid pro quo for continued benefits for other industries under the programme. The poultry industry, which had reluctantly agreed to the deal “for the greater good of SA”, now insists that Pretoria retaliate unless the steel and aluminium benefits are reinstated. The FairPlay Movement urges parliamentarians of all parties to support the poor people and national nutrition by ensuring that VAT is removed from chicken after the Woolard panel could not reach consensus on the matter and deferred the issue to Parliament. The panel, appointed by Treasury to find ways to soften this year’s VATincrease, considered which additional items should be VAT zero-rated. It suggested VAT should be dropped on white bread and flour, sanitary pads,school uniforms and nappies. Its recommendations would cost the fiscus about R4 billion in tax revenue of which R2.8 billion would be a tax break for the poorest 70%of South African households. That was close to the extra tax burden of R3.1 billion that the higher VAT rate this year imposes on the poor, according to the panel’s calculations. If all poultry was zero-rated it would be a R6 billion tax break for consumers, of which R4 billion would go to the bottom 70%. If only individually frozen pieces of chicken – the format most consumed by poor households as well as fast-food restaurants – this tax break would be more like R3 billion, said the panel in its report. That was more than the entire VAT relief for which the panel’s ultimate recommendations provided. In its submission to the panel, SAPA estimates that zero-rating – and the concomitant price decrease – will result in a 7.8% increase in demand for chicken-on-the bone. The knock-on effects are considerable: 11176 additional jobs of which 80% will be semi-skilled and unskilled; R3.66 billion in additional GDP; R1 billion in additional government revenue; and R80 million in additional household income for lower income households. 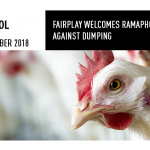 “The SAPA submission clearly illustrates how beneficial zero-rating chicken would be for the country,” says Francois Baird of Fairplay adding that this is an issue of national importance and urging all Members of Parliament to look after the interests of the poor. “Chicken has become the staple food for the nation and is the major protein source for poor people,” says Baird. The Woolard panel’s recommendations will be considered in parliament this week, and again later this year after the government has considered public comments, which may be submitted until the end of August 2018. 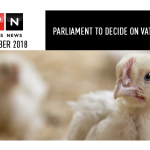 FairPlay will now direct its campaign for VAT Free chicken to parliamentarians of all parties, realising that the responsibility is on the ANC in particular to ensure that South Africans, particularly those with a low income, benefit from VAT-free chicken. “We will also be working with unions and other organisations to help bring relief to those who need it most,” says Baird.